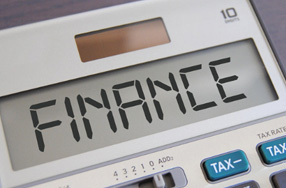 Synopsis: Finance plans can be intimidating, but they shouldn’t be. There are so many benefits when you understand how they can work for you…. The marketplace today is awash with finance plans of one kind or another and it can seem confusing and intimidating if you don’t know what’s what. You might even yearn for the good ol’ days before everything got so complicated, and when buying something was a simple case of turning up with cash or a chequebook and going away with your shiny new purchase. The thing is that finance plans can be really simple if they’re clearly explained. They can also be extremely helpful, particularly when Life throws you a curve ball…. Let’s say there’s been an accident and that that bed of your dreams has taken an irreparable knock on the bounce. The headboard is broken, or maybe the support slats have snapped. What do you do? Sleep on the sofa and wake up bright and early with a sore neck? Dig out that inflatable mattress and blow it up with a hair-dryer only to wake up in the middle of the night and find yourself lying on the floor as the hapless victim of a slow leak? If there’s not much in the kitty that week then the best option is simply to get yourself a finance plan. Bedstar offer various options such as Buy Now Pay Later, which does just what it says on the tin and allows you to defer payment to a later date. OK, now what about if you’re a landlord and the students have just cleared out for the year. You need to get the place sorted for the next lot and they’ve left it in a state. Or perhaps it’s a newly acquired property that’s in serious need of a revamp and a spruce-up. There’s no need to wreak havoc with your cash flow by investing in one fell swoop and putting pressure on yourself. A finance plan lets you spread the cost, paying a little every month for a year, two years or even three years depending on which beds you go for. Not only that but it can work out better than paying all in one go anyway because it can even be good for your credit score. And of course, we all know that feeling of coming across a must-have item and being unable to think of anything else until it’s mine all mine! When you see that desirable leather headboard or that luxurious TV bed and realise that your old ‘90s style pine job just won’t cut it then the finance plan is the way forward. You get to enjoy the benefits of style and comfort now and pay it off gradually. Nothing could be simpler! It’s easy to get overwhelmed by all the tempting offers of e-commerce and the appeal of our credit culture, but when you know how, you can really take advantage and benefit from what are in truth very simple purchasing innovations to help the customer live life with none of the hassle.